First up is Metallic Dark Berry. This is described perfectly in the name, and is a little darker on the nails than my camera picked up. I applied two coats to achieve full coverage. There is a lovely gold shimmer in the polish, and it totally reminds me of grapes! The formula is a little on the thick side but still easy to apply. 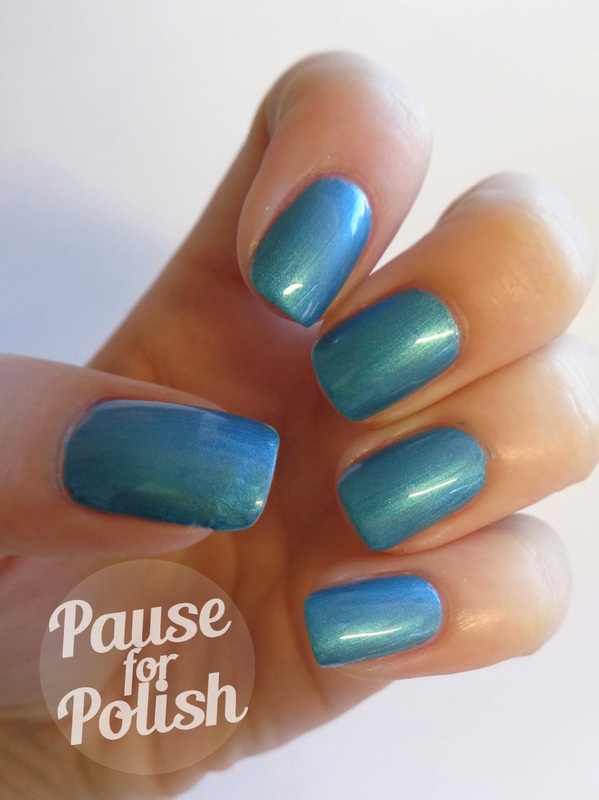 Teal is another metallic polish that I already had in my collection before it was reduced. 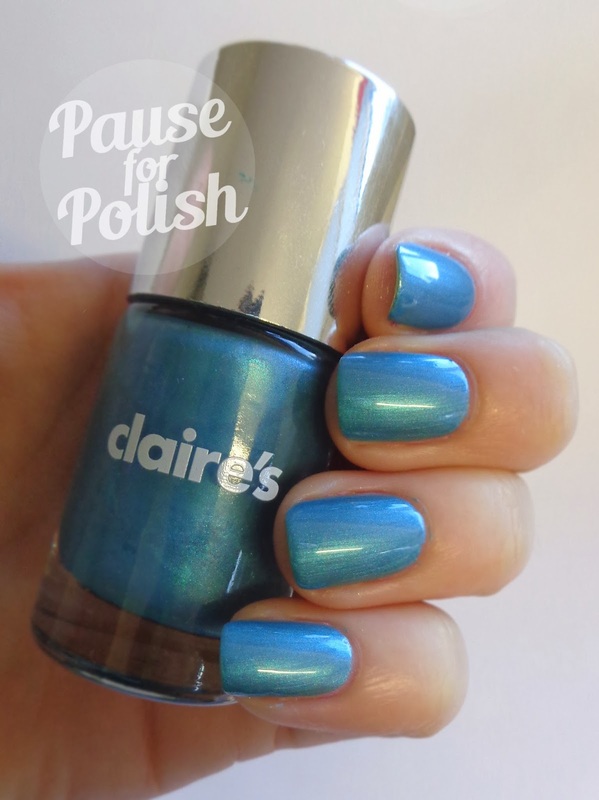 This is my favourite out of the bunch, it has a gorgeous teal/blue shift and looks stunning on the nail. I used two coats for full coverage. 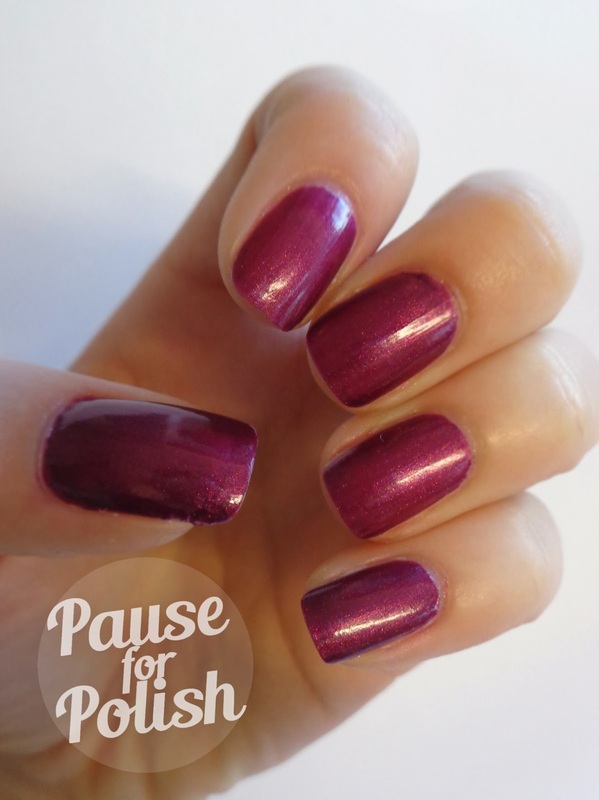 It has a similar thickness to the Metallic Berry but is still easy to apply. I always feel like a mermaid with this on! So Couture is a beige/gold shimmer polish. I didn't go much on it but thought i'd pick it up as part of the 3 for 2 and i'm glad I did! 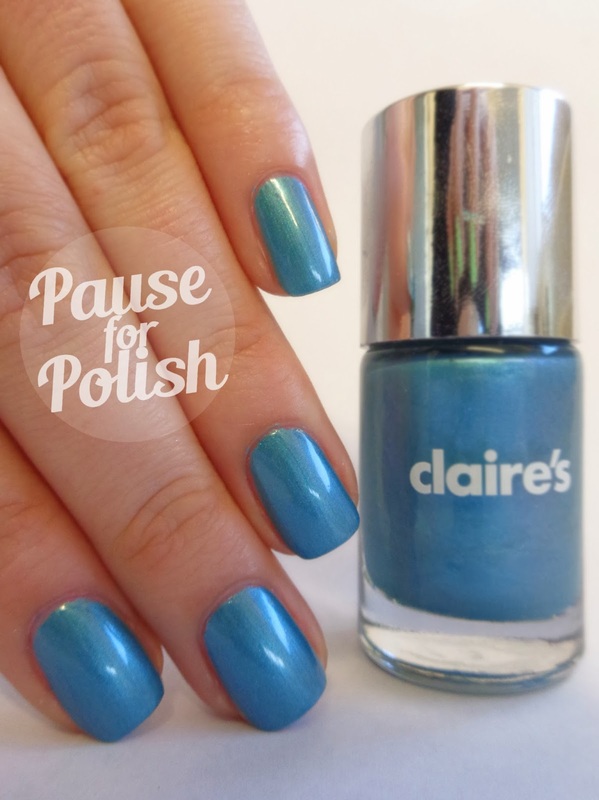 I think it suits my skin tone really well and is perfect for a quick neutral mani. The gold shimmer flecks really stands out, especially in the sun! Formula is brilliant, shown is two coats. Bejewelled is a bright shimmery pink, and my biggest surprise of the bunch. I'm not a pink kinda girl, at least, I never used to be. But this is just stunning! It's a really bright, deep pink with a lot of sparkle. The formula is a little more sheer than the rest, but this only took two coats for full coverage. I'll definitely be using this beauty again soon! Jealous is another favourite of mine. It's the only one that dries to a satin matte finish, but i prefer it with a shiny top coat. 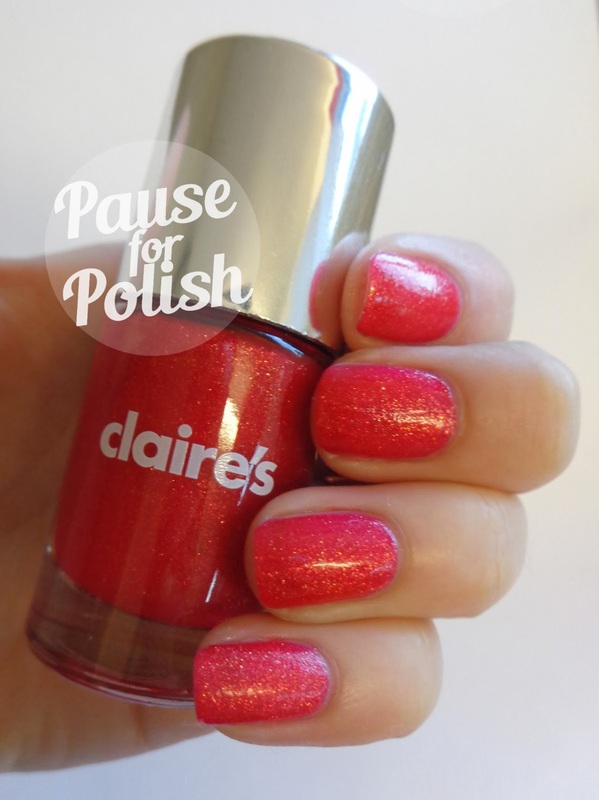 The golden glitter flecks really stand out, and i think it's a perfect festive polish! It's a little sheer, shown below is two coats but I think it could have done with one more. 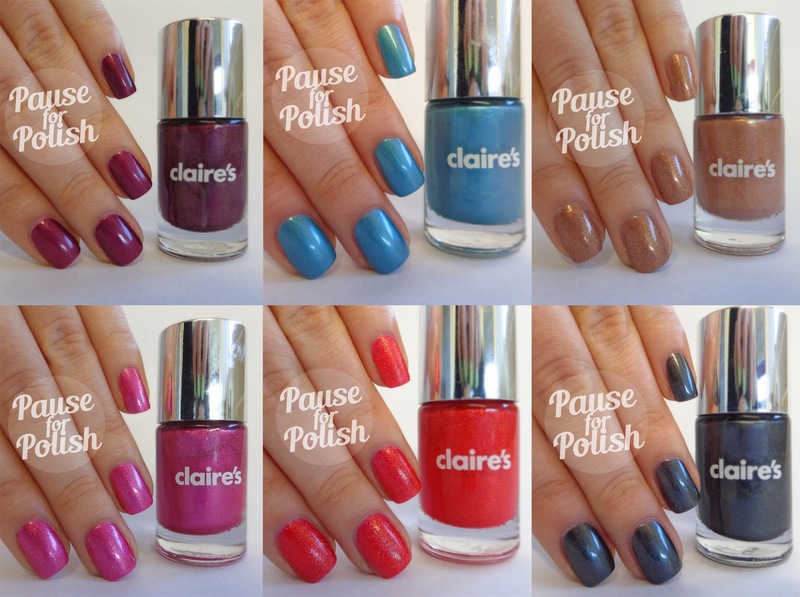 Trust me when i say you need this polish. Zap is the last out of the shimmery reduced polishes, and my least favourite of the bunch. There's nothing wrong with it, I just don't find the colour as exciting as the name! The formula is pretty sheer, this took three coats. Not much else to say, it's just a classic dark metallic grey which I suppose everyone should have at least one of! So there you go! Any of those take your fancy? If i had to pick only two it would be Teal and Metallic Red. I have six more to show you tomorrow, although there were a few plain glitters that i didn't pick up, in a red, green and bronze colour. Keep an eye out for tomorrow's post if you liked this one! I'd like to mention before I go that although I work for Claire's, all products are purchased by myself and under no obligation. All reviews and opinions are my own. Bejewelled - Find it here. Zap - Find it here. So Couture - Find it here. Jealous - Find it here. 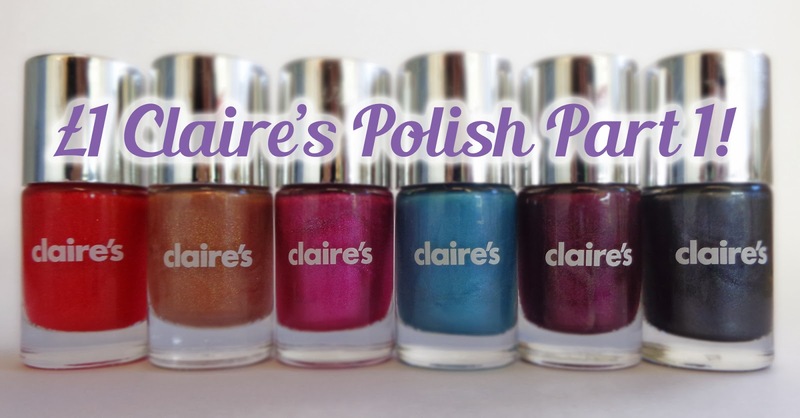 Claire's Accessories Neon Purple Nail Art! 100 Facebook Fans Celebration Mani!